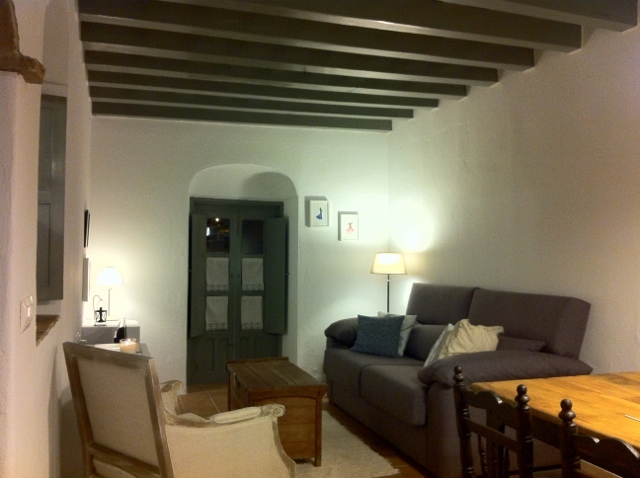 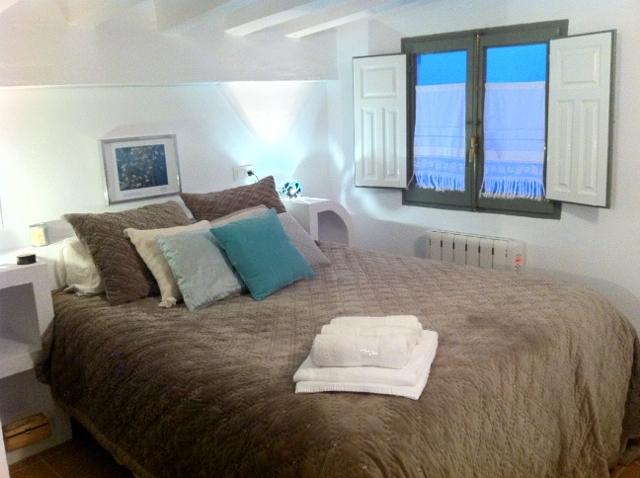 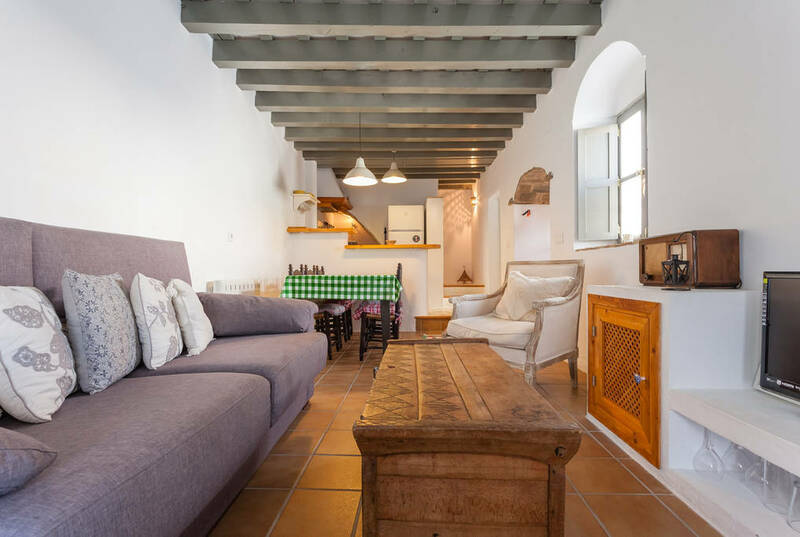 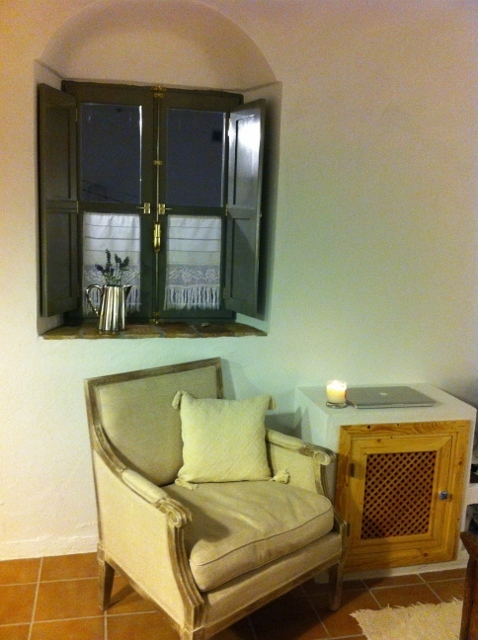 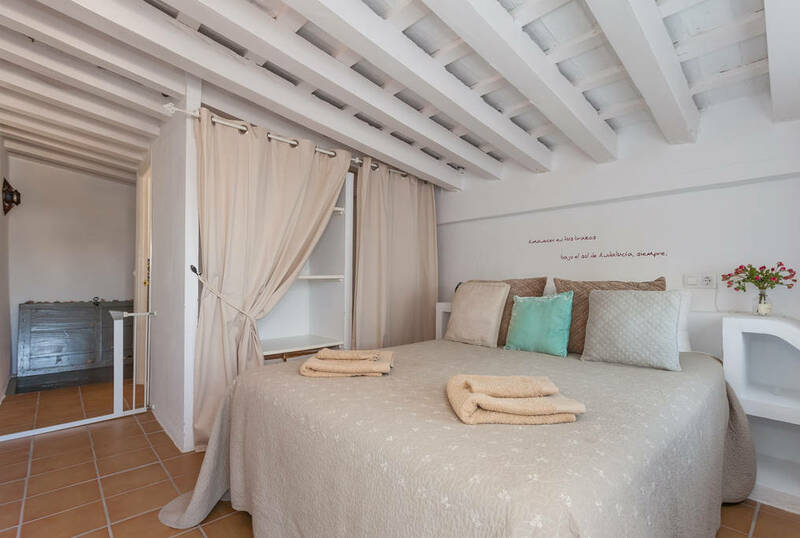 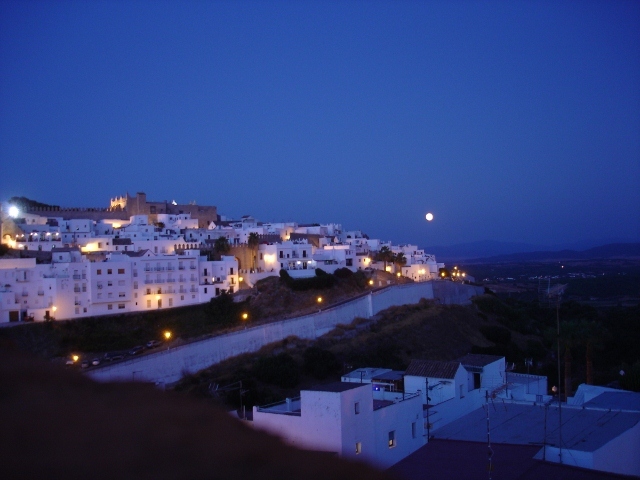 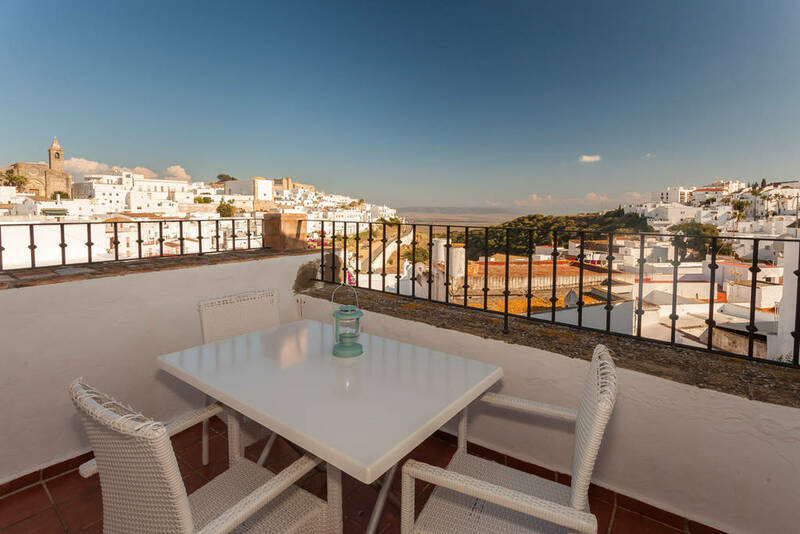 A beautifully renovated 1 bedroom apartment with private terrace in the old town of Vejer. 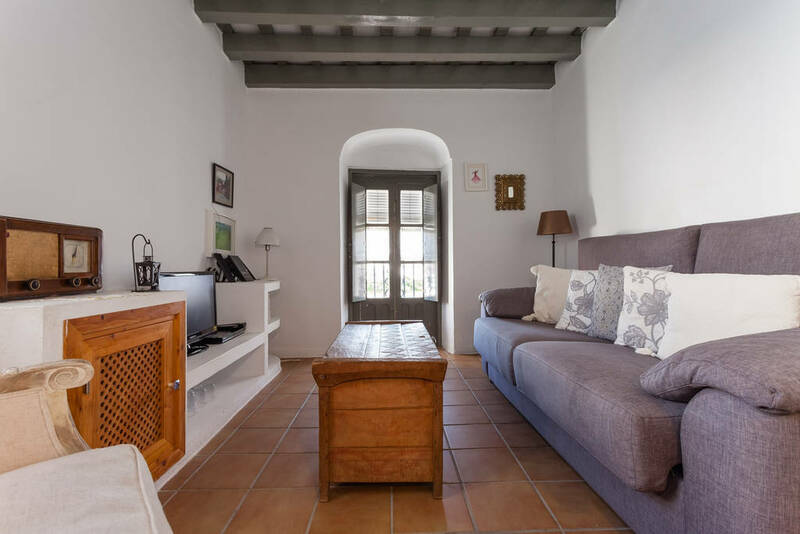 Casa del Mar has been renovated to a high standard maintaining the original features of the house including the wooden beamed ceilings. 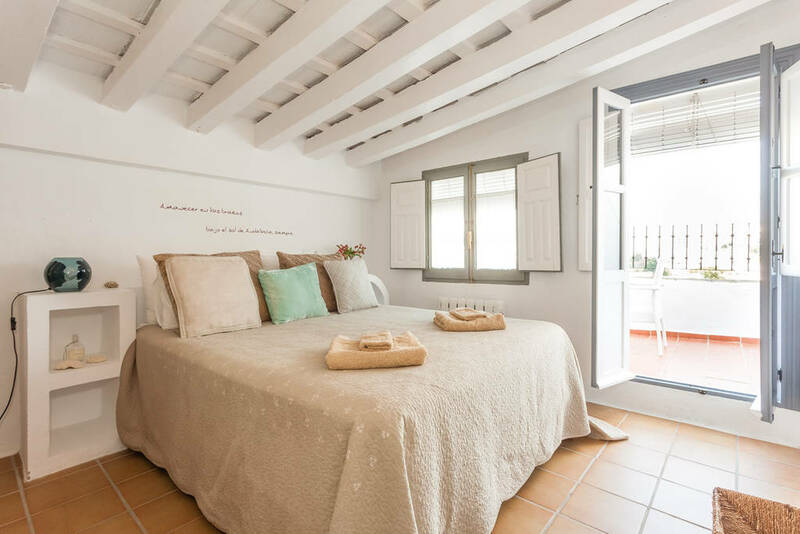 Entered through a flower-filled shared patio this 2 storey house has a living room with open plan kitchen and a cloakroom on the first floor with stairs leading to the second floor bedroom with bathroom and the roof terrace offering amazing views of the town, sea and countryside.